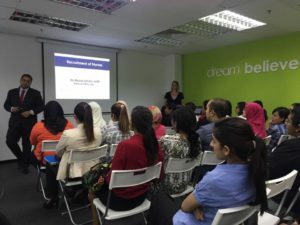 Being the pioneer healthcare talent specialist in the country, Melorita Healthcare had never failed to meet its client’s requirements to source quality candidates for job employments in Saudi Arabia, UAE, Bahrain, Singapore, Brunei and even here in Malaysia. Incorporated in 1977, and with more than 37 years in the business, Melorita Healthcare has provided best jobs for nurses, allied health and medical professionals in these countries and now, has taken a step further into hiring for USA, Australia, and Ireland. To mark its first employment into the new market, Melorita Healthcare had recently housed the USA Delegation Interview, which was held on 16th & 17th April 2016. 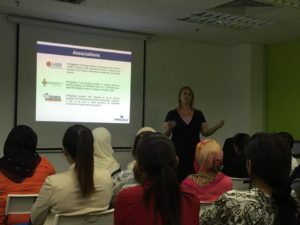 With great job benefit packages, which eventually lead to a PR status in only 2 years, Melorita Healthcare saw more than 50 candidates attending the interview with full confident wanting to grab this new job opportunity. In addition to the expansion, Melorita Healthcare will be conducting interviews for Australia and Ireland soon, and, with more expansion in mind, the organization is determined to reach a world class status in the coming years!